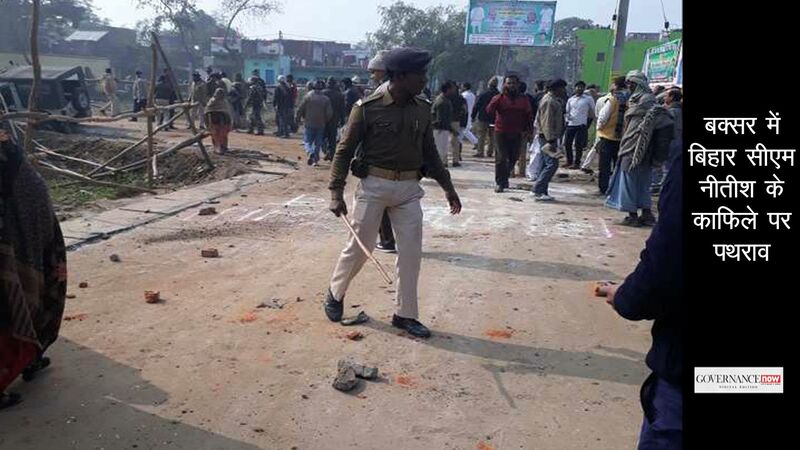 There are two kinds of acts from the so-called fringe elements of the BJP: one embarrasses only the secular-liberals but resonates well with the party’s core constituency, and the other embarrasses the party more than the rest. Sakshi Maharaj’s latest rant is of the first type. The KVIC calendar goes into the second slot. Prime minister Narendra Modi has never been secretive about his self-love and penchant for self-promotion. And yet, an Economic Times report suggests that he “disapproves” the juvenile act of placing his photos on the calendar from the organisation that is supposed to promote khadi. The report says an upset PMO has sought an explanation from the ministry of micro, small and medium enterprises, which is the administrative modal point for Khadi and Village Industries Commission (KVIC). 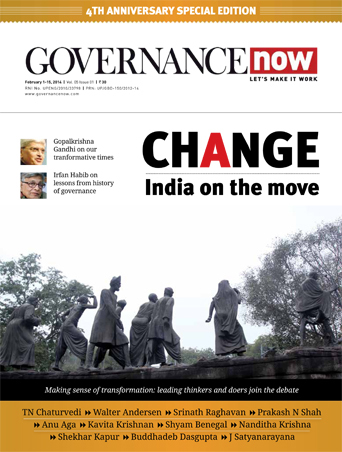 Again, not that Modi has ever shied away from appropriating Gandhi and his symbols. Modi’s signature biennial event Vibrant Gujarat is hosted at an ultramodern mega complex which he has named Mahatma Mandir. At this year’s event, it had a huge neon-lit charkha placed at the gates. But, then, Gandhi’s own party, Congress, has never bothered to live up to or even appropriate his legacy – or Nehru’s, for that matter. All, including many government-funded institutions originally founded by Gandhi, are out to encash his name. And yet, if the PMO is upset, it is because some line has been crossed here. In its enthusiasm to please the prime minister, KVIC and its chairman VK Saxena did not foresee how Modi, an astute politician, would see this gesture. 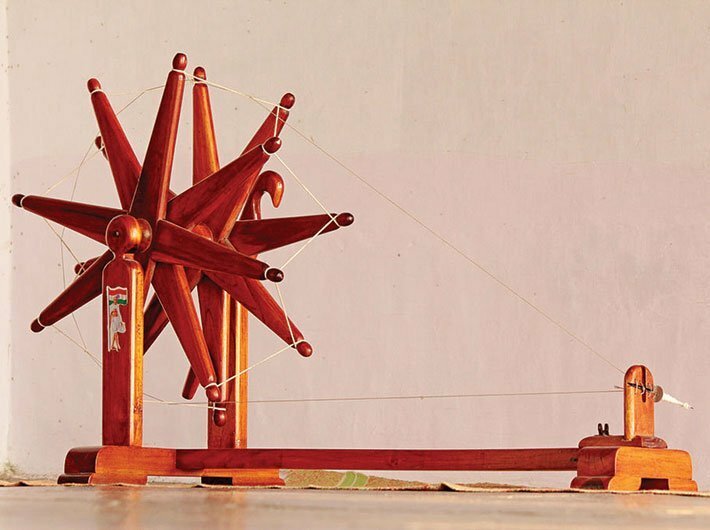 Gandhi made khadi and charkha the central to his vision of Swaraj, including gramswaraj. In today’s socio-economic atmosphere, buying mill clothes may not be any less patriotic but khadi still remains the key to solve many ills starting with jobless growth and forced migration to cities. KVIC is the institution that can show what role khadi can still play in reviving rural economy. It however remains utterly clueless given the aggressively market-oriented policies of the last 25 years or so. Now it has reduced itself to an organisation out to promote not khadi but Modi.